Unfortunately, your registration has been declined by the auctioneer. You can contact the auctioneer on 01268 729233 for more information. You are the current highest bidder! To be sure to win, come back on 26 Feb 2018 11:35 GMT Date Format as the lot closes or increase your max bid. Direct from the UK Ministry of Defence - Field Textiles ltd - Specialising in Clothing, Hardware and Miscellaneous British Military Items. General delivery information available from the auctioneer Your goods will usually be dispatched witin 7 days of ordering. However, please allow up to 14 days for delivery. In the event of a delay you will be notified by Email. Please note; we reserve the right to refuse any order. Orders may be subject to further credit card checks following initial authorisation. On occassion, international orders may be refused due to delivery issues in the country. If necessary we will contact you to discuss delivery options in order to fulfill the order. Direct from the UK Ministry of Defence - You are Purchasing items for Sale on Behalf of the UK Ministry of Defence. You will be notified by email the following working day if you have been successful on your item. All bids are contractually binding and cannot be retracted. All bids are plus VAT. There is NO BUYER'S PREMIUM CHARGED however all lots are subject to a fixed lot charge of £5.00 per lot. The Lot Charge is £5.00 Not including VAT. Once the auction item has ended you will receive an invoice the following working day by email. Full payment must be made within three days from the date of the invoice and removal within 7 days. All items are located at the following site: Field Textiles ltd, A1 Hovefields Avenue, Basildon, Essex. SS13 1EB. The following payment methods are accepted: bank transfer, cash up to £1000 with I.D., debit card in person with I.D., credit card (subject to 3% charge) and only up to an amount of £500. Payments can be taken over the phone on a credit or debit card but only up to £5000. Items will not be available for collection until the funds have cleared. All items are Sold as Seen - They are untested and No Guarantees or Warranties are included. All clothing will be in etiher NEW or Grade 1 or Grade 2 condition. No Returns or Refunds will be accepted on the goods for sale. We can provide postage and courier quotes on all Lots. Please ensure you read and agree to our terms and conditions prior to placing your bid. This is a legally binding contract to purchase, if you are not sure, please do not bid. We are unable to cancel your purchase, after the auction closes. For further information or to view this or any other items at Field Textiles ltd, The Sales Team, 01268 729233 or email one of the Email address above. Our Details are: Field Textiles Ltd, A1 - A2 Hovefields Ave, Basildon, Essex, SS13 1EB. Registered Office 94 London Road, Camebridge. 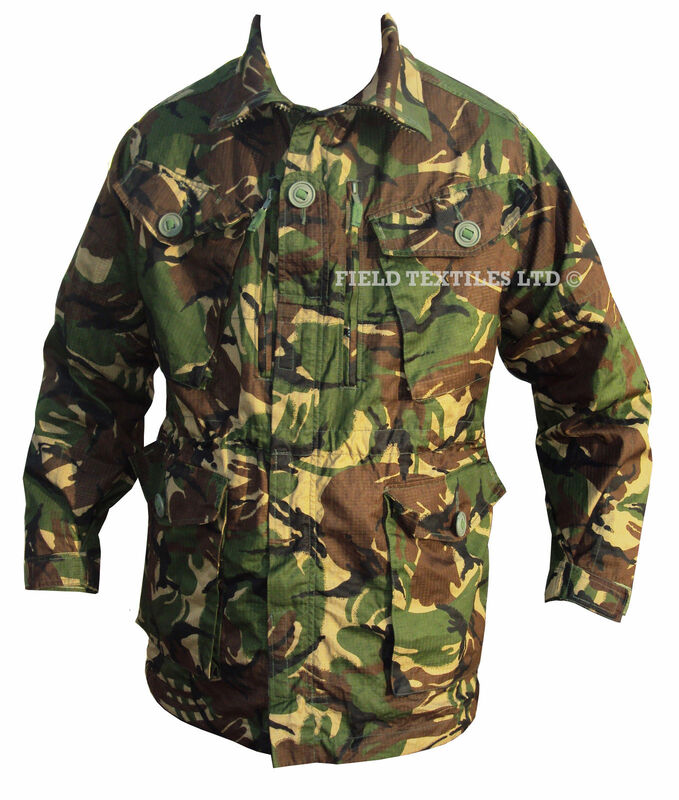 Registration Number 358432.
www.fieldtextiles.co.uk / com are exclusive contractors in the UK to the Ministry of Defence. 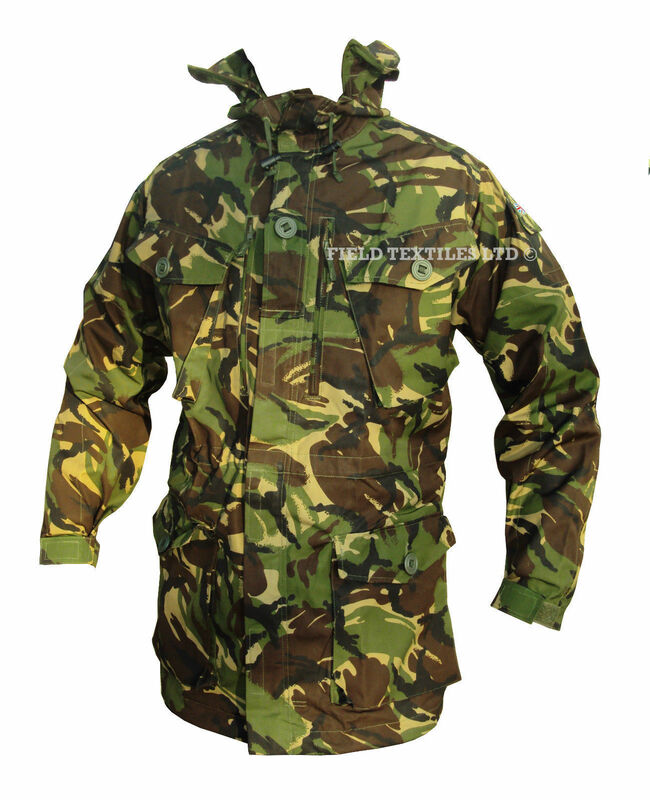 With over 50 years experience in the army surplus business we are the specialists in all Genuine British Kit. If we haven't got it you don't need it. We have made buying from www.fieldtextiles.co.uk as simple as possible. Our shopping basket system will store items you have placed within it for up to four hours. Each item for sale has an order button. When you press this button you are taken to the order processing page where the item will be automatically added to your basket. To view items in the shopping basket and amend them accordingly simply click on the Checkout button at the top of the page. You can input how many of each item you would like, decide to continue shopping, remove an item from the basket or check out and place your secure order. It is at this time you would be asked for your name and address and then your credit card details. Your information will be stored in a 'cookie' on your computer. We will not store any such information on our system, in order to protect your privacy. The only details we cannot store are your credit card details. Paying online is simple. We accept Mastercard, Visa, Solo and Switch debit cards.For more details see above. If you place an offline order you will be contacted by one of our representatives to arrange payment - this will usually be by cheque or postal order. Please make cheques payable to: FIELD TEXTILES Ltd.
Every on-line transaction made within www.fieldtextiles.co.uk is transmitted across the Internet using SSL (Secure Socket Layer) encryption. This industry standard method ensures that information sent from your browser is scrambled whilst in transit and decoded when it arrives on our server. You are far safer using your credit card within www.fieldtextiles.co.uk than you are in a restaurant in your local high street. We take the issue of security seriously and have taken every step possible to protect you. Our servers sit behind a state of the art hardware firewall and the computer that handles the card services is a bastion host of the ishop mall servers, it is not accessible from the Internet. We have employed the services of one of the countries leading security experts who regularly monitors and updates our systems. i)You are using an old browser that doesn't support SSL encryption. ii)You are browsing from behind a corporate firewall that will not allow secure connections. Speak to the system administrator at your office. They will either fix the problem or you will have to order from another location. To check point your browser to http://www.microsoft.com/ if you cannot connect to the Microsoft secure server it is likely that one of the above faults apply. If you are able to connect to Microsoft please visit http://www.microsoft.com/downloads/ to download latest version of Internet Explorer. Please wait 10 days if you are in the UK or 20 days if overseas. If you do not receive your goods after this period of time, please contact us on 00 44(0)1268 729233 or E-mail us at info@field textiles.com with your order number to hand. This number will be included in the E-mail you received when you ordered the goods from our site. We will strive to resolve the issue immediately. Your card will normally be debited when the goods are dispatched. An authorisation takes place when you make your order, this simply guarantees that the funds are available on your card and the payment will be made to us. This authorisation remains valid for 10 days. When the goods are dispatched, we will debit funds from your account overnight directly into our own. If certain items in your order are out of stock or unobtainable we will only partially process your order. We are also able to cancel or refund individual items of your order should we need to. If the authorisation fails, the most likely explanation is that you have input your card details incorrectly. If this happens, press the back button on your browser and you will be back in the card input page. Check that all the details are correct and make any changes necessary before proceeding once more. If all the details are correct then we would advise that you contact the card issuer to check for any reasons why your card was not authorised. We will receive your order anyway and will contact you to arrange for alternative methods of payment. All personal data, including your card number is transmitted over secure connections, meaning that no one can 'eavesdrop' and capture your details. In addition to this, your card details are not viewable by us at all, thay are transmitted over Intellnet's secure server for authorisation and payment transactions.You are protected because the transaction was carried out as 'Cardholder not present'. This means that any payments will be refunded to your card should it be used fraudulently by someone else or you do not receive what you ordered. Your goods will usually be dispatched witin 7 days of ordering. However, please allow up to 14 days for delivery. In the event of a delay you will be notified by Email. Please note; we reserve the right to refuse any order. Orders may be subject to further credit card checks following initial authorisation. On occassion, international orders may be refused due to delivery issues in the country. If necessary we will contact you to discuss delivery options in order to fulfill the order. We guarantee all our products to be free of defects for 28 days. If you receive a defective product, please Email us at info@fieldtextiles.com to arrange an exchange or refund. We aim to replace any defective items with replacements. If this is not possible we shall refund you immediately. Exchanged items will only be sent after we have received the defective item back from you in its original packaging at your own cost. Please consult our contact details for the return address. We will acknowledge all orders by Email. We guarantee that we will not pass your details to any other company without your permission. In such a case we would cintact you by phone or by Email to gain your consent. Any personal data will not be transferred out of the EEA. If you do not give us your consent, all information received from you will be kept completely confidential and will not be disclosed to any other party. The terns and conditions do not affect your statutory rights as a consumer. Feel free to contact us with any questions or queries you have regarding our website, sales, service or any related topic. Your goods will usually be dispatched witin 7 days of ordering. However, please allow up to 14 days for delivery. In the event of a delay you will be notified by Email. Please note; we reserve the right to refuse any order. Orders may be subject to further credit card checks following initial authorisation. On occassion, international orders may be refused due to delivery issues in the country. If necessary we will contact you to discuss delivery options in order to fulfill the order.